"Where the next generation of our community learns to thrive"
In accordance with the Department for Education we aim to actively promote British Values at Kingsway to ensure that all our pupils leave school fully rounded members of modern Britain. Pupils are encouraged to regard people of all faiths, races and cultures with respect and tolerance and to be proud of living in our wonderfully diverse community here at Kingsway. 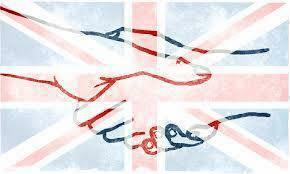 British Values is integral to day to day life at Kingsway. We embed British Values into the learning that takes place across all subject areas, as part of a vibrant range of extra-curricular activities and through the teaching of Personal, Social, Health and Economic Education taught discretely across all key stages. We aspire to have a school where our pupils are enthused and inspired by the world around them through an exciting and vibrant curriculum. We aim to expand children’s knowledge of other faiths as part of the teaching of Religious Education through a range of experiences and personalised learning opportunities. Our pupils at Kingsway learn about ‘right’ and ‘wrong’, building respectful and trusting relationships with others and abiding by our school’s rules and behaviour policy. It is important to us to encourage all children to build confidence in expressing their own voice whilst also being mindful of others and their differences. Our school council representatives meet regularly to maintain a healthy democracy at Kingsway that is built around mutual respect, tolerance and compassion. We hope to empower all our pupils to take responsibility for how we move forward in our own community, as British Citizens and as part of our world through freedom of speech. When you visit us at Kingsway you will soon see an ethos that is built around strong moral values and will be greeted by a warm and welcoming environment that we are very proud of.